Temple Christian Academy's cook book is now available for sale. E.C. Row Expressway at Central Ave.
T.C.A. is a school for students of JK to Grade 9 and Day Care. T.C.A. does not receive any public tax money. Funding is met through tuition fees and your generous donations. T.C.A. Springfest has been visited times. 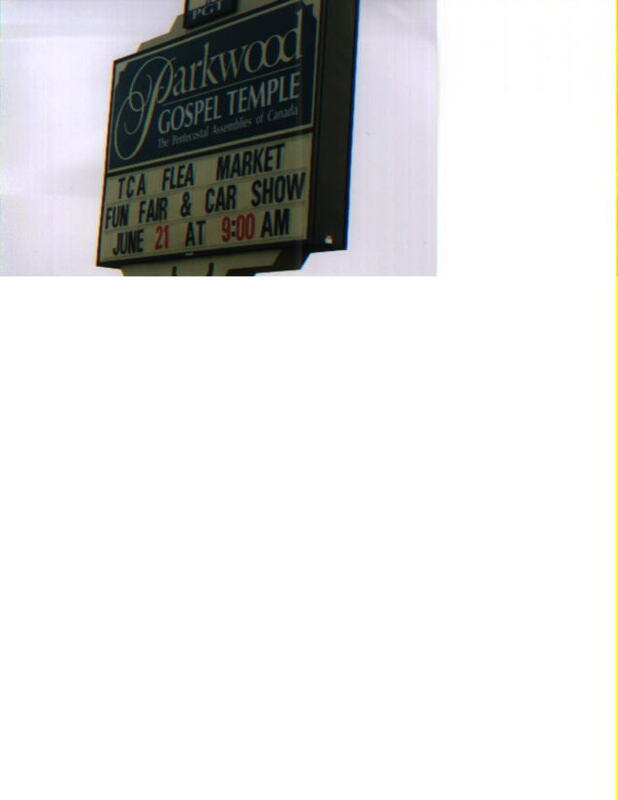 The sign put up for T.C.A Car Show by Parkwood Gospel Temple in 1996. Controlled Race and helped run the show. Auto Trader, Courtesy Dodge Chrysler, Central Chrysler, Gus Revenberg Pontiac Buick GMC, Saturn Saab Isuzu of Windsor, Eastway Toyota, Windsor Mazda, Windsor Volkswagen. Please consider this letter as your invitation to promote yourself to the public and have fun doing so. A huge area on our grounds, visible from E.C. Row Expressway, is being designated for exhibitors and vendors. Door prizes of your choosing and donations for Awards will be greatly appreciated. Businesses who give donations for awards will have their names engraved on plaques. Businesses and exhibitors who contribute door prizes or make donations, in fact, are allowed free advertising space in our show program and/or on our internet web page. Our sponsors also receive a complimentary vendor's space. Yes, you will receive an official receipt for your cash or check donation at the end of the year. May we take this opportunity to thank you in advance for your consideration! A TCA representative will contact you by phone or e-mail and arrange an approintment to give you a show information package, discuss how you can participate and answer any questions you may have. Or you can request information and receive information via the e-mail. In addition to our flyer T.C.A. Car Show, here is what happen a few years ago at our show. That year and the previous years we called the show "The Motor Transportation Show. 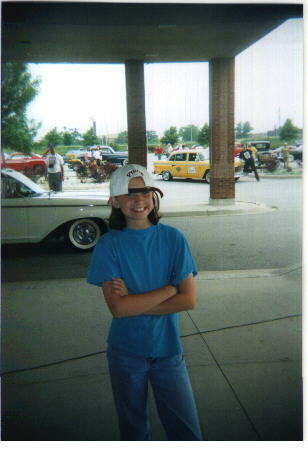 The 4th annual Temple Christian Academy Motor Transportation Show held on June 21th 1997, coordinated by Marj and Tim Rusling, was a huge success. Hundreds of people came to the show to see the many assembled vehicles. Children came and raced their Remote Controlled Cars around a special track. Also included in Temple Christian Academy's Spring Fest were a B. B. Q., a bake goods sale, a flea market and a children's fun fair. Six area auto dealerships participated with displays and sponsorship. The car dealers who participated were Central Chrysler, Courtesy Dodge Chrysler, Windsor Mazda, Windsor Volkswagen, Eastway Toyota, Saturn Saab Isuzu of Windsor. All of the dealers at the show gave door prizes including Sinasac Jeep Eagle who had prior engagements. The Auto Trader was a sponsor and had a display as well. The special exhibits included were the Historic Vehicle Society of Ontario, a Checker Cab and the Minis of Windsor Owners Group. Michael Feasy of Windsor a first time participant at the 1996 show stated, "In excess of a hundred people were looking, gathering some information. Possible sales for the future." Valerie Hebert of Windsor Volkswagen responded, "It was a lot of fun. I would certainly come again. It gave us a chance to show a lot of our new cars. I had a few people ask about buying our new cars." 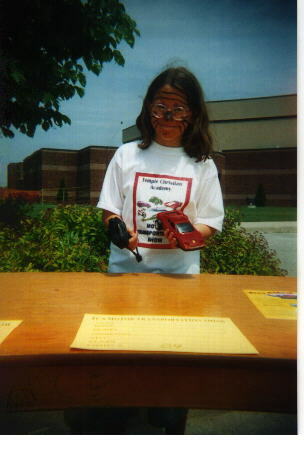 About the vehicles in the competitions Ms. Hebert exclaimed, " They were awesome!" The Auto Trader, who sponsored ads in their magazine for the show, gave out hundreds of their latest issues gratis. They also sponsored the People's Choice Award at the show as usual. The following awards were presented at Temple Christian Academy Motor Transportation Show on Saturday June 8th, 1996 two years ago.